At D. Pickett & Associates we have provided training for a large range of our client’s training needs. On government contracts we train subcontractors starting from the Request for Proposal (RFP) stage until contract award. In the RFP stage we train subcontractors on the certification requirements to participate as small and emerging businesses. Once the contract has been awarded, we work with the prime contractors to offer contract compliance training to subcontractors and teams. Billing and reporting on large construction contracts can be daunting for small businesses. We take away guess work for them by clarifying all requirements during training. 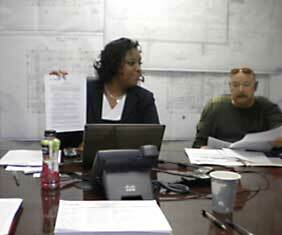 Our training is hands on as we teach subcontracts to use billing systems like LCP Tracker.